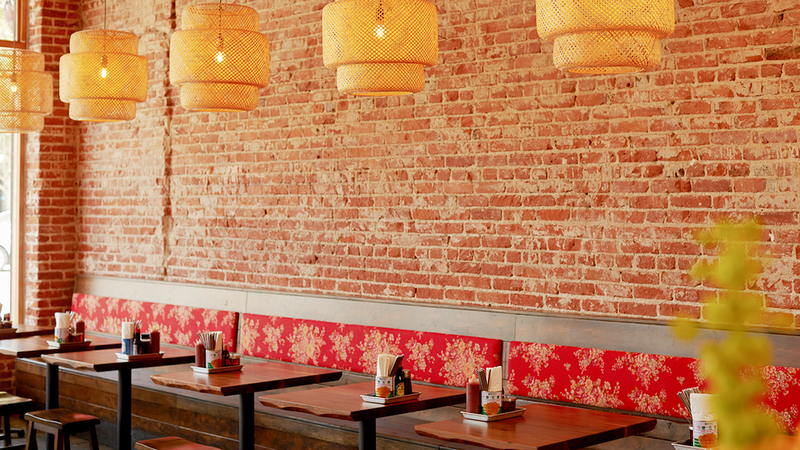 JOY is a casual, neighborhood eatery in Highland Park, Los Angeles. 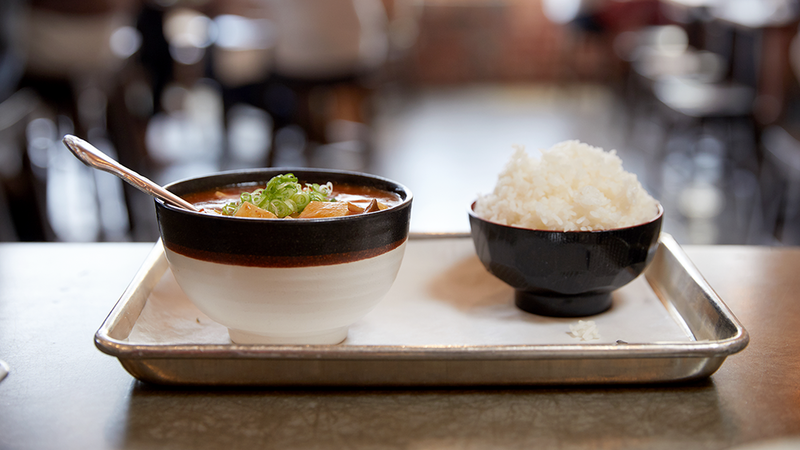 Our menu showcases regional Taiwanese cooking using fresh and simple ingredients. We love sharing our heritage through food and aim to provide distinctive service for our guests and community. Our food is inspired by Taiwan’s street food culture. The menu features dishes you can find in night markets around Taipei such as minced pork on rice and thousand-layer pancake. We also offer limited, seasonal cold appetizers, soups, and greens. Our wide selection of tea drinks, along with a rotating list of craft beers and wines, is curated to complement our food offerings. Similar to our sister restaurant, Pine & Crane, some of our dishes also trace their roots to the northern-style Chinese dishes my maternal grandparents grew up eating before they moved to Taiwan in 1949. As a result, a lot of our dishes feature wheat based items such as buns, pancakes, dumplings, and noodles. Our scallion sesame bread, which we bake in-house daily and accompanies our soups, has always been one of my grandfather’s favorite things to eat and is one such example. 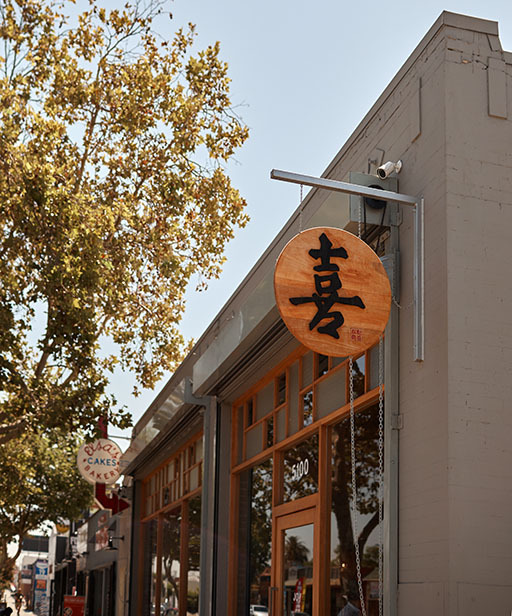 Our hope is to be a cozy, neighborhood joint where people from all walks of life gather together and bond over delicious, heartful, and authentic Taiwanese specialities. True to the spirit of street food dining, we want guests to feel equally at ease whether they're stopping in for a small snack and to say hello, or if they're meeting friends to enjoy a communal dining experience. As a casual counter-service spot, we don’t take any reservations but please feel free to call us prior to visiting so we can help estimate your wait time (if there is one). Our space was once home to Elsa’s Bakery, a beloved and longstanding fixture in the community. Mr. and Mrs. Vargas ran Elsa’s for over 40 years and the family still owns the building today. As an homage to our location’s heritage, we bake Mexican wedding cookies daily in house. We give all proceeds of cookie sales to a nonprofit partner--typically in Highland Park or the larger NE Los Angeles area--each month, as we believe in contributing to the community we call home. Past partners have included Optimist Youth Homes, AMP Youth Arts, and a local backpack drive. Our hope is that over time, we can lead others in striving to create positive impact in our neighborhood. Please feel free to ask for more information about our monthly community partner. We also welcome suggestions and referrals for causes and organizations that share our vision of local impact. Please contact us at joymanagement@pineandcrane.com if you have a recommendation. Thank you for including us at your next celebration or event! We offer catering services and party trays that can be tailored specifically for you. Please feel free to reach us by calling us at (323) 999-7642 or emailing us at joycatering@pineandcrane.com and our catering manager will walk you through various options. In a rush, or want to eat at home? We offer takeout during our regular business hours. Call us at (323) 999-7642 to place an order. 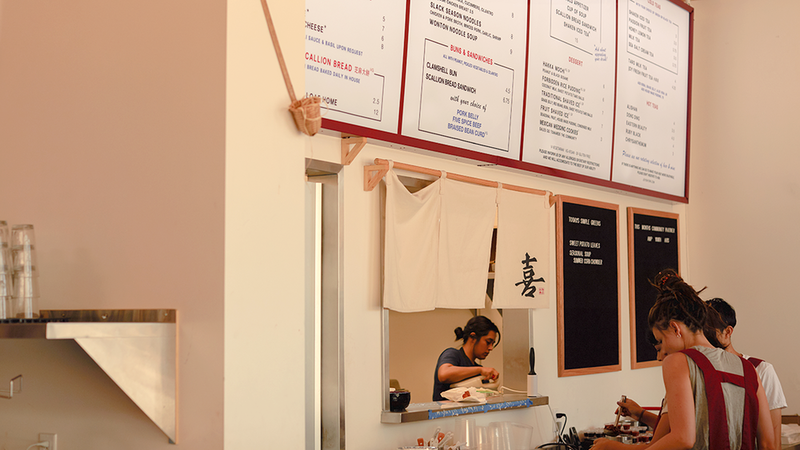 Take-out orders are usually ready within 10-25 minutes depending on how busy our kitchen is. When you arrive at our location, come straight to our pick-up counter for your food. We partner with Caviar for delivery orders. Please visit their website to place a delivery order.